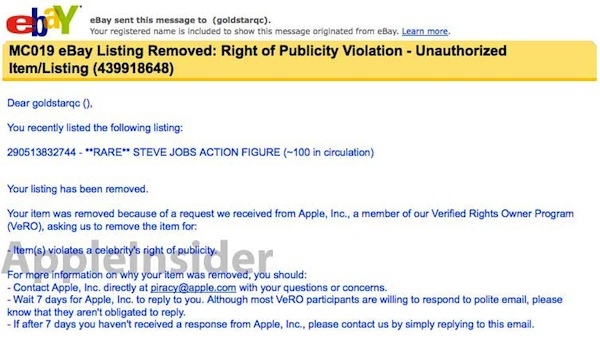 "A Canadian eBay seller contacted AppleInsider on Tuesday to share that they had sold a popular, rare Steve Jobs figurine on the bidding site. It went for a final price of $1,125, but eBay soon after allegedly canceled the listing." These figurines keep showing up, and Apple legal keeps going after the people who sell them. I can't say that I'm surprised by that. Steve Jobs does have a right to protect his valuable image. At the same time, I can understand a desire to own your very own Steve Jobs figurine. What do you think? Is Apple being heavy-handed here?